We wouldn’t be surprised if you are not aware of Polygon bikes. Polygon is an Indonesian bike company that has been building good looking bikes for a while which have raced on world cup tracks and has support of well-known riders like Kurt Sorge. These are some of the finest bikes in the world! 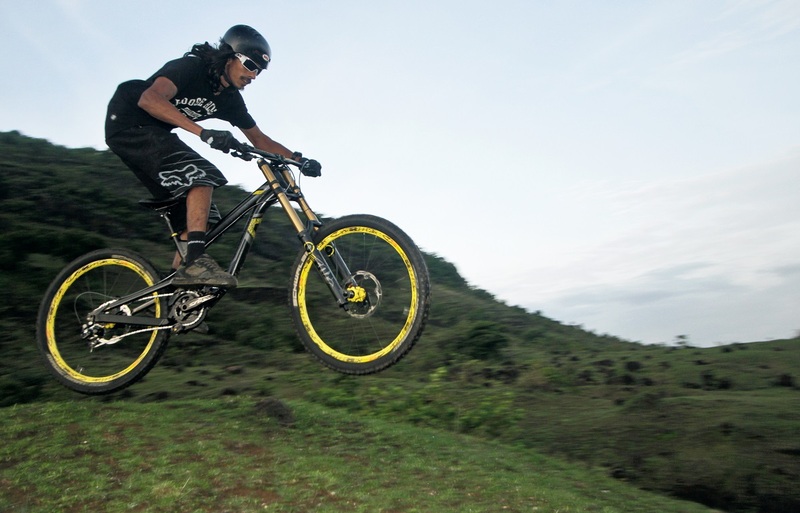 A while ago, FR MTB MAG boss Vinay Menon sourced the DHX which is Polygons flagship DH bike loaded with top notch component. He recently thrashed the bike around all the bike parks in B.C Canada and was not disappointed at all. The Polygon DHX is a value for money deal which is reliable, light, capable, fast, and fun which has proven it’s worth on the savage UCI World Cup Downhill circuit. Proven on the grueling UCI World Cup DH circuit by Mick Hannah and the UR Team, the DHX features a fully active rear suspension centered low in the frame for improved handling and control while delivering 203mm smooth, bottomless travel to soak up anything from high frequency stutter bumps to big hits. The Hydroformed ALX frame with RC3 adjustable dropout system allows for custom setups to match course conditions. Up front a Fox 40 Float RC2 with Kashima coat delivers World Cup DH performance as does the full Shimano Saint group and Mavic DeeMax Ultimate UST wheelset. Detailed specs of this race ready beast. Frame: ALX alloy downhill, FS2 suspension system, 8” travel, 12X150MM Front. Fork: FOX 40 float fit RC2 factory with Kashima coat, travel 200MM. Tires: Schwalbe Magic Mary, 26”X2.35” UST. Saddle: Fizik Tundra2, manganese rail. Seatpost: Entity Elite, alloy, zero offset, 30.9x350mm. Stem: Spank Spike STD director, alloy, 50mm. Handlebar: Spank Spike 777 evo, alloy. 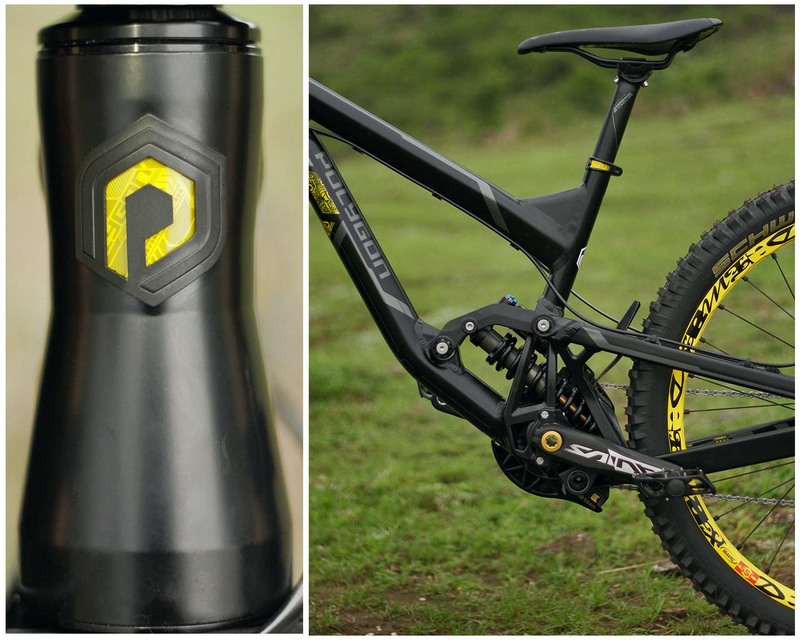 The Polygon DHX performance has overwhelmed us and it keeps on asking for more. The component being offered in this package are surprising and other bike brands out there will make your jaw drop or locked with their price with similar specs offered by Polygon. Overall this is the best package one can come across and we can’t see any other bike brand offering this kind of deal for coming years.